Jicama is a mildly sweet vegetable with a crunch like an almost ripe pear. It’s delicious raw in salads and added to stir-fry combos. If you haven’t tried it, let me urge you to give it a go! 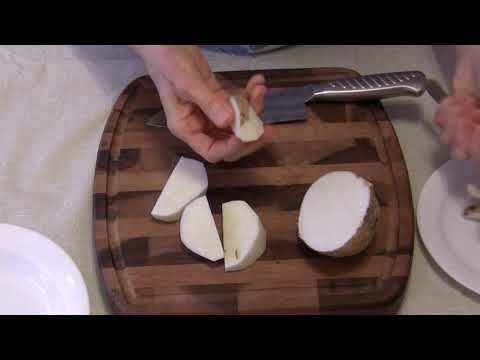 In the video below, I have some valuable tips on how I cut and store jicama. This entry was posted in Food, Uncategorized and tagged about jicama, how to cut jicama, how to store jicama, jicama tips on February 7, 2019 by Judi.